2019 ridership is starting on a high note for the KC Streetcar. 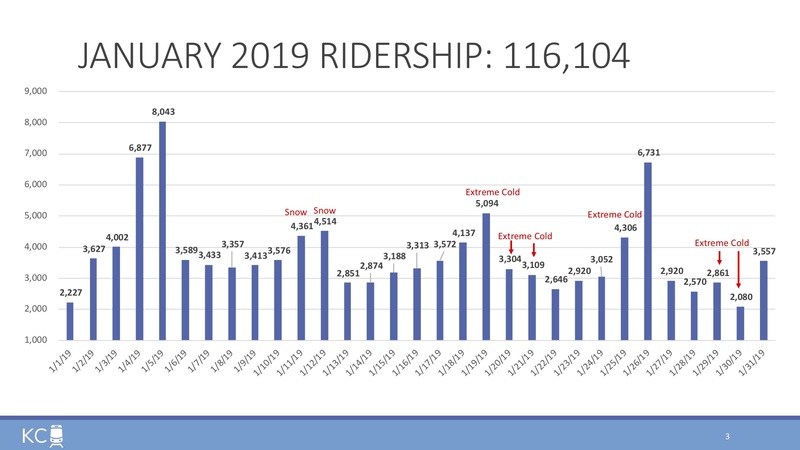 January 2019 logged 116,104 trips on the streetcar, which is nearly 19,000 more trips than January 2018 (97,194 trips). This marks seven straight months of increased ridership from the previous year.